The introduction of any proper enterprise software requires proper training for the employees. So the interface has to be user-friendly, uncomplicated and needing minimal coaching. The more intuitive the software, the smaller is the learning curve. It is very important for the software to get integrated with the existing businesses processes; its benefits are many. 1st of all, there will be less occurrence of the human error; secondly, there will be real-time updation of every crucial data taking place on the business, thirdly, by providing the correct figures, it will help the business owners to strategise for the next step. Today, nearly all software solutions come customised. Not all business requirements are same; so the solution developers are designing ERP, CRM and HRMS software as per the client requirement. Manually handled data can easily be leaked through various accidental and inappropriate ways. The data privacy of a company is based on many criteria that include compliance with protocols protection and regulation. While choosing an enterprise software assistant, it is crucial to check if the considered solution is capable of adeptly protecting of the information maintained in it for any essential purpose. With the constant evolution of science, the enterprise software solutions too are continuously changing. The updates and transformations have been a blessing for the company owners as they can keep pace with the changing world and the changing taste and demands of the customers. Speaking of methodologies, there are two types in this case; one is the agile and the second is the waterfall. Although the agile development process is suitable for all large, medium and small scale companies, the waterfall process is rigid and perfect for an industry dealing with heavy weights. 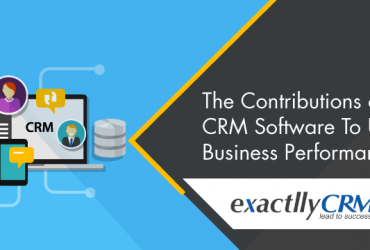 The error-free data and figures that are extracted from the software help business owners to evaluate the expanse of their venture and also assist them in strategising for the next step. The integrated, as well as customised metric systems, prove to be of immense assistance in the long run. 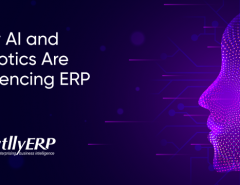 Nearly every business of every magnitude uses the enterprise resource planning software or ERP. The effective running of the software assists in taking the right decision at the right time. 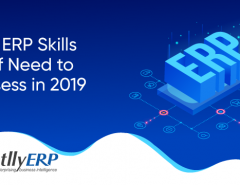 As per different marketing surveys, implementation of ERPs along with its integration to the business has become the prime practice for businesses to automate their processes and binding together the data of crucial departments for the aid of management. Unlimited Power – Real-time updating of transactions to convert data into business critical information. Unbreachable security – Multi-level authorisation based access to allow as much or as little information you want users to see. Ledger Maintenance – Lets you define multiple dimensions and zoom into transactions from report alongside allowing to view reports based on customised headers. Inventory Control – Get multi-level inventory management for your warehouse stocks and also maintain a real-time tab on receipts, shipments, returns and adjustments. The customer relationship management software streamlines the customer handling department of the organisation. Creating and maintaining a positive relationship with the business' big pool of customers is a mammoth task which is also mandatory for the venture's growth. It is crucial for the business to get the nerves of the customer and offer the exact services they want to stay ahead in the competition. A useful CRM software lets you to manage the leads and track them with their activities. The solution also helps in meeting the company deadlines by removing the guesswork and providing helpful information about the pending or upcoming duties. Email marketing – In just a few simple steps, you can target, draft and send relevant emails to the leads that fetch action from the audience through increased engagement for successful campaigns. Contact management – A personalised way to maintain all the important customer contacts within an updateable and easy-to-access system. Lead Management – Lead being the driving force in a business’ process, the techniques of this business software solution lies in its effectivity in generating, managing and tracking of the same for building new opportunities of sales. Pricing and quotation – Empower your customer service executives with the capability to access the right information of prices and quotations to pitch to the customers at the right time of need for seamless management. The human resource management software is the program to facilitate the employers of the company to manage the payroll and employee for perfect allocation effectively. The huge pool of database retains the most crucial details of employees like salary, man-hours and other personal records. Through superior management of resources, this software assists the company in effective planning of the entire business venture. Payroll – The HRMS systems are also revered of highly as payroll software solutions that, with flexibility can define any type of salary structure of any company. Attendance and leave – The employee attendance and leave management system streamlines the communication between the employees and the HR department that facilitates the ease in an employer-employee relationship. Duty and roster – Shift management is a critical job for many companies. With an efficient human resource management system, the roster attendance takes place automatically by calculating the overtime rates and allowances of employees without any unauthorized human intervention. Self-accessing data – Let the employees within your organisation easily access the information on their payout, leaves company policies and taxes. 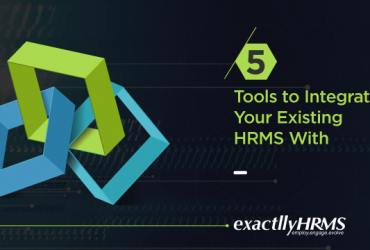 Enable them to apply for their leaves online and view their payroll details under the unified umbrella of HRMS software system. Not all business operations are the same; some organisations have a complex process of business. So, a software that is made to fit the needs of a retail business will not sit in the place of a manufacturing unit. 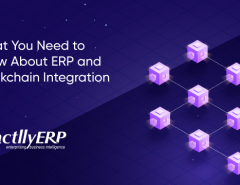 Hence, a lot of innovative blueprints have been realised to create customised enterprise software solutions that cater to the specialised demands of companies.